What does Climbing have to do with Cancer? Did you know that climbing has tremendous potential health benefits? Not only does climbing require a combination of core, upper and lower body strength, it requires endurance, balance and flexibility. And it is infinitely easier to climb if you have an ideal body weight. The will to rise above the constant downward pull of gravity is increasingly being found to be a part of a healthy lifestyle that may help you overcome two of the biggest threats to longevity, heart disease and cancer. There is accumulating evidence that the diet we choose and the degree we exercise may be responsible for nearly 1/2 of all cancers in the United States! That is an amazing fact that is both scary and reassuring. Scary, because most people don’t know that diet and exercise play such a big role in cancer prevention. If you ask people what is the best way to prevent heart disease, most people can tell you diet and exercise, but to find out those same factors can prevent the two leading causes of death in the US. But also reassuring because by eating well, exercising and maintaining a healthy body weight, you can lower your chance of getting cancer! Cigarette smoking is a significant risk factor for developing kidney cancer. A couple of the known carcinogens that are found in cigarettes and can mutate human DNA are N-nitro compounds (nitrosamines, nitroamides etc.) and heterocyclic amines (HCAs). With a damaged blueprint for making new cells, when it is time for the cell to copy itself, it may make a copy that no longer follows normal cell rules and behaves badly. This is one of the models for how cancer starts. These ‘rogue’ copies, then grow all over their neighbors and start stealing the body’s resources. Why would anyone smoke knowing they are filling their lungs and blood stream with these DNA damaging agents? The good news is that smoking rates are declining in the US, the bad news is that kidney cancer rates are rising. Why? One possible explanation is that there is another environmental source of nitrosamines, nitroamides and heterocyclic amines: MEAT. Grilled, preserved and charred meats are full of the carcinogenic compounds called nitroamines, nitroamides and HCAs. In fact a hot dog has the same level of nitroamides as 4 cigarettes! 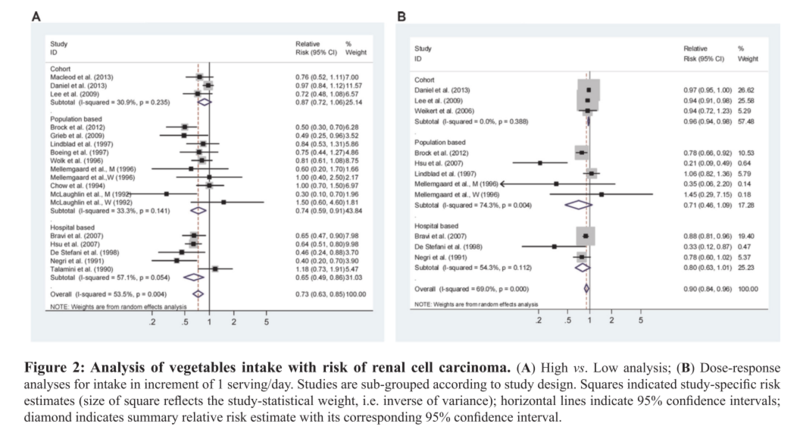 Furthermore many studies, including a meta-anlysis demonstrate that people who eat more meat have a higher risk of kidney cancer (reference 5). 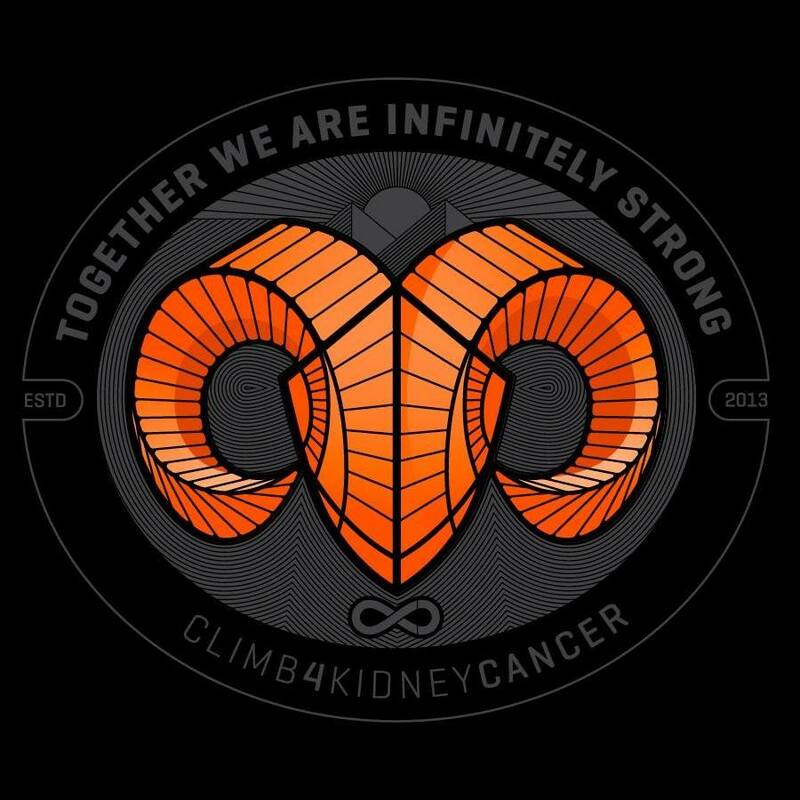 When you sum it all up, the answer is clear, eating well (fruits, whole grains and vegetables and little to no meat), exercising (climbing) and not smoking, you can lower your risk of kidney cancer by nearly 60-70%! 3. 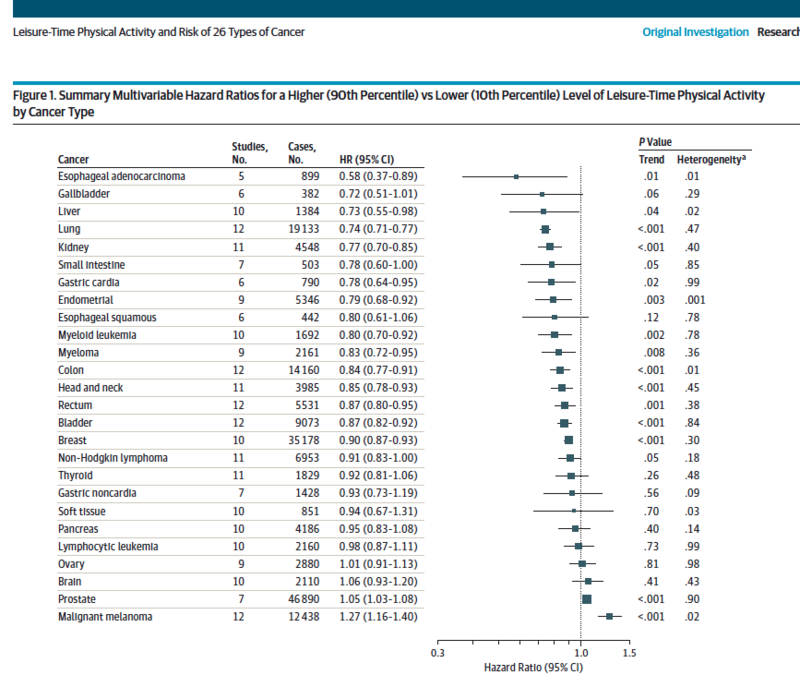 Moore SC, Lee I-M, Weiderpass E, et al: Association of Leisure-Time Physical Activity With Risk of 26 Types of Cancer in 1.44 Million Adults. JAMA Intern. Med. 2016; 176: 816–25. Available at: http://www.ncbi.nlm.nih.gov/pubmed/27183032.